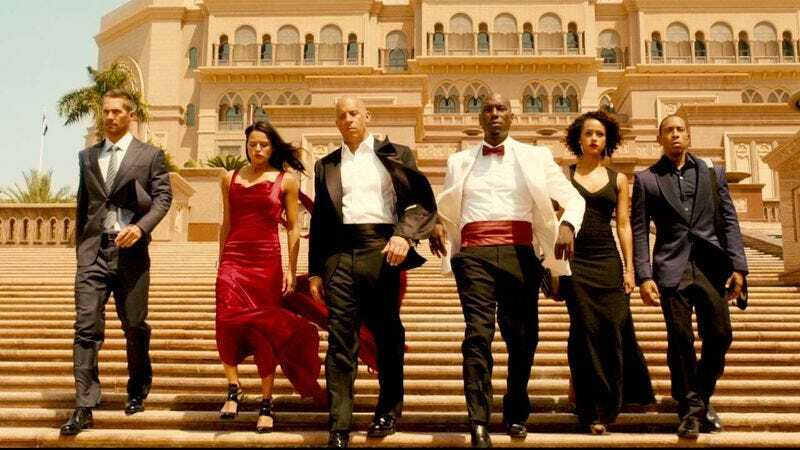 Dominic Toretto’s team of fast and furious drivers who race cars, pull off elaborate heists, and work with the authorities to defeat supervillains aren’t just friends, they’re a family. Similarly, the Fast & Furious movies in which they appear are no longer just films tied together by weirdly convoluted story lines, they’re a whole universe. Or they will be soon, at least. According to Variety, Vin Diesel himself says that Universal is planning multiple Fast & Furious-related prequels and spin-offs, with “various characters” in the series getting their own standalone films, exactly like what Disney is doing with its Star Wars spin-off movies. Diesel doesn’t say which characters would get this treatment, but Variety believes Dwayne Johnson’s Luke Hobbs is the most obvious choice. Universal has also confirmed that talks about these possible spin-offs have really happened, so this isn’t just another example of Diesel saying he’s going to do something cool even though nothing ever comes of it. For now, though, Diesel and Universal are focusing on the core series, with Straight Outta Compton’s F. Gary Gray directing Furious 8 and the studio promising that his film “will be different in tone from the adventures” that came before. To that end, Universal Filmed Entertainment Group chairman Jeff Shell has a take on the series that could be the winner of the prestigious (though never actually given out) award for Quote Of The Year: “You can’t keep having every movie have bigger and bigger stunts forever and ever and ever…eventually you have to really focus on the story.” Buckle up, Fast & Furious fans! Now it’s all about the story!